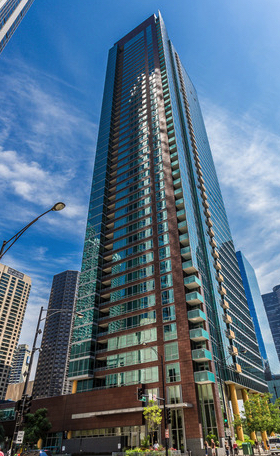 Parkview condos are located at the corner of McClurg Court and Illinois Street in Streeterville, and offer residents breathtaking views of the city, park, and Lake Michigan. This newer construction glass high-rise building sits adjacent to a two-acre park which features gardens, fountains, benches, and a dog walk/run. Additionally, Michigan Avenue is only a couple blocks away, while Navy Pier and the lakefront are just a few short steps from the lobby doors at 505 McClurg, allowing for lots to do and see once calling this tremendous Streeterville high rise home. For more information about 505 N. McClurg, have a look at the active MLS listings below, or to learn about other Streeterville condo opportunities or to schedule a private showing for a unit on the market that you'd like to see, give Helaine Cohen a call today at (312) 953-0961! Like many high rise condos for sale around downtown Chicago, amenities at the Parkview condominium residences are a huge part of the living experience and include the following: an indoor lap pool, an exercise room, his and hers sauna, a lavish party room that's great for large scale entertaining and social gatherings, a full media and theater room, and a lush garden terrace with superb views of the surrounding Streeterville neighborhood. In all, there are 268 condominiums at Parkview, which mainly consists of one, two, and three bedroom units. There are also two story duplex units available that come with two terraces and a very unique floor plan that's hard to pass up should you be looking for a high-end condo with more than enough living space. For the most part, condos for sale at Parkview (505 N. McClurg Court) feature floor to ceiling windows, hardwood flooring, granite kitchens with stainless steel appliances, and upgraded bathroom finishes and fixtures that most of today's savvy home and condo buyers prefer in a turn-key home. Parkview condos in Chicago are the perfect place for buyers who love having an active lifestyle and all the best amenities. Ask our team how you can make this gorgeous building your new home!